The election of new ASCE national officers will begin June 14, with members voting to fill the positions of ASCE president-elect, at-large director, region director, and region governor. This year, there are contested races for president-elect, Region 2 governor, Region 8 governor, and Region 10 director. ASCE strongly encourages every eligible member to vote, because this is the best way to make your voice heard and shape the future of the profession. Want to know more about the candidates’ backgrounds and perspectives before casting your vote? 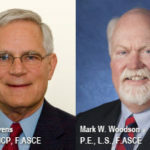 Videos from a candidates’ forum featuring the 2 president-elect official nominees , Robert D. Stevens, Ph.D., P.E., AICP, F.ASCE, and Mark W. Woodson, P.E., L.S., D.WRE, F.ASCE, are available. Interviews were also conducted with the 2 nominees. Complete election information, including biographical information, vision statements, and photographs, is available for all the official nominees. All of the ASCE officers elected will begin their terms of office at the ASCE business meeting, scheduled during the 143rd Annual Civil Engineering Conference, to be held this October 10-12, in Charlotte, North Carolina. 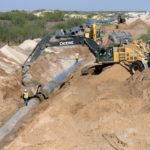 Members of the Environmental and Water Resources Institute (EWRI) will also be selecting a vice president to serve on their Board of Governors for a term running from October 2013 to September 2017. EWRI’s Nominations Committee placed 2 individuals on the ballot as official nominees: David D. Dee, Jr., P.E., D.WRE, M.ASCE, and Bijay K. Panigrahi, Ph.D., P.E., P.G., D.WRE, BCEE, M.ASCE. All eligible voting members will receive a paper ballot delivered via the U.S. Postal Service sent directly from ASCE’s election vendor, Survey & Ballot Systems. The paper ballot will include the member number and signature pass code so those without an email address on file may still vote electronically. Ballots will be mailed to members’ addresses of record on June 14. For those eligible voting members with a valid email address on file, election signature codes will be distributed by broadcast email beginning on June 14. Members who have not received a signature code by June 18 should contact ASCE’s customer service department at (800) 548-2723. ASCE encourages international members in particular to take advantage of the electronic voting option. Voting will remain open from June 14 until 5 PM (central time) on August 14. The results will be published online in ASCE News. As a reminder, to be eligible to vote in this election, Society members must have a membership grade of associate or higher and their dues for this year must have been fully paid and processed by May 15. Affiliate members and students are not eligible to vote in a national election. Institute-only members are not eligible to vote in ASCE elections. However, those belonging only to EWRI will receive a ballot and be able to vote for the appropriate offices. 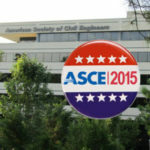 Members responding to ASCE’s 2012 Election Ballot Survey raised several questions in regard to the election process. The following answers are designed to provide some insight into the election process. Why aren’t all offices contested? Individual Regions identify and select nominees for the vacant offices within their Region. The list of vacant positions in each Region is posted in ASCE News in September. To offer contested elections, individuals who are willing to serve must be identified. If you are interested in serving as an officer at the region or national level, please contact your region director. So why are non-contested elections still on the ballot? Because nominees have to be elected and not appointed to office, according to New York State law (where ASCE is incorporated). Why can’t the election be completely electronic? ASCE by-laws require ballots to be sent to every voting member. Some members do not provide ASCE with a valid email address, so therefore they would not receive the necessary e-signature code. Is an electronic election process legal? The laws of New York—the state in which the Society is incorporated—do not expressly allow electronic voting. 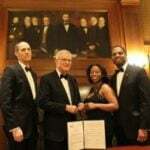 However, they do permit nonprofit organizations to implement electronic proxy voting in which members submit proxy ballots that ultimately are cast by a designated proxy holder. In this case, that proxy holder is the secretary of ASCE. Why is the e-signature code different from the member only log-in? Generating a special e-signature code provides another layer of security to the election process. The e-signature codes are generated by the election vendor, Survey & Ballot Systems. ASCE members create their own personal log-in password for the ASCE members-only site. ASCE does not divulge that information to 3rd parties. Why are write-ins not permitted? In the past when ASCE permitted write-in votes, some members submitted fictional characters which nullified their vote for that office. In addition, the number of write-in votes was nominal, so the Board ultimately removed that option from the by-laws. To access the online ballot, go to: https://www.directvote.net/asce/. Enter your 6-digit Membership Number (no preceding zeros) and the e-signature code you receive via email or on your paper ballot. You have the option of receiving an e-mail confirmation at the conclusion of voting. ASCE does not provide the member’s email address to the election vendor, so it will be necessary for you to supply that information if you wish to receive an email confirmation. Questions regarding the Society’s election may be directed to Patricia Jones, Aff.M.ASCE, ASCE’s director, Executive and Board Operations, at (703) 295-6101.